Since my return, I miss Fort Myers Beach Florida so much. White sand beaches, shells for miles and the low key beach vibe made for a dream beach vacation. 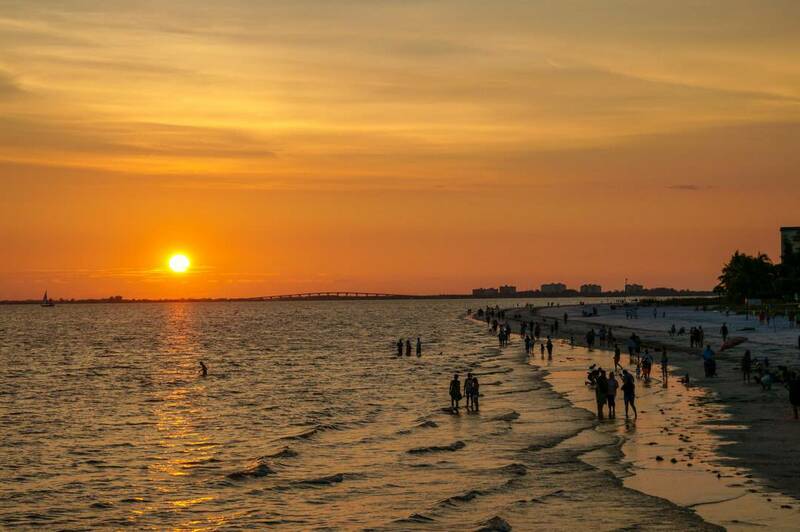 Every night there was this spectacular sunset on the water, and while I had the urge to grab a lounge chair and just relax on the beach all day, there was much to do and see in the Beaches of Fort Myers and Sanibel Island region of Florida. 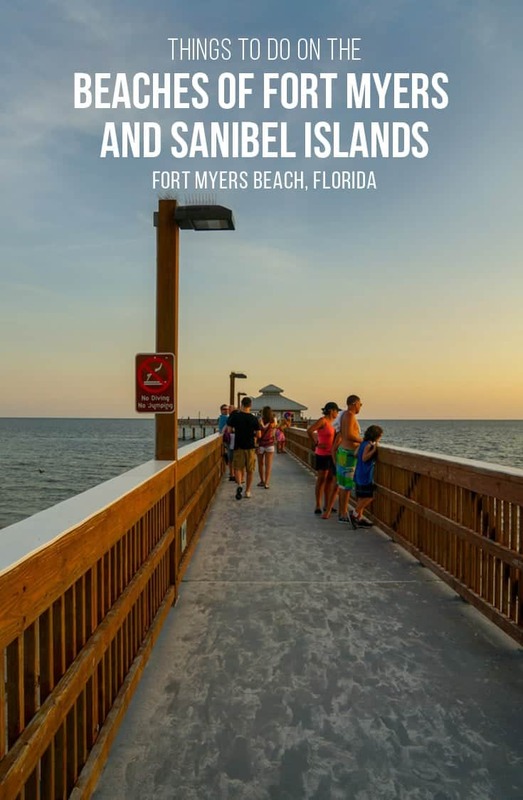 In this post, I focus on the Fort Myers Beach area and with suggestions on what to see, where to eat and where I stayed. 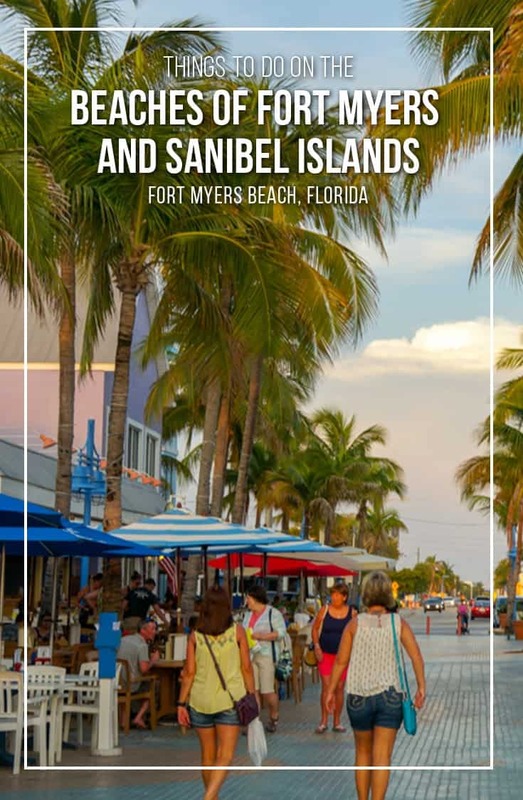 While in Fort Myers Beach you may want to escape to Sanibel Island which I have detailed in this post 3 Hours to Paradise: Things to do on Sanibel Island Florida. I will start with attractions and shopping. 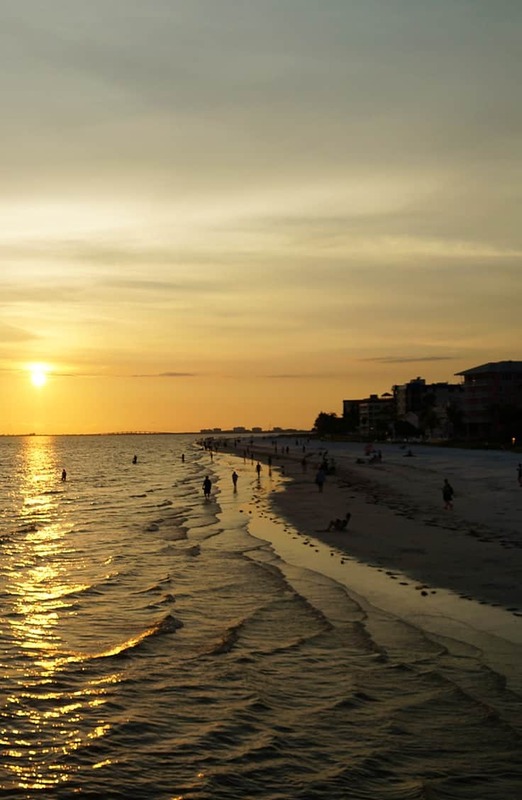 For most of us the Fort Myers Beach is attraction enough, but on a particularly hot or rainy day if you’re looking for something to do in the area check out these attractions. 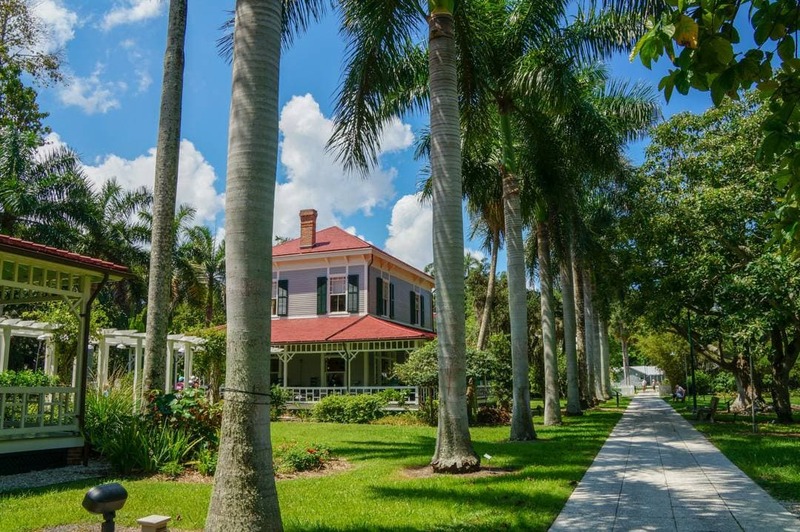 History buffs will love learning about the relationship between Thomas Edison and Henry Ford who vacationed in Fort Myers during the winter season. Edison stayed in Fort Myers for health reasons, and Henry Ford visited often. The result is a beautiful botanical garden which will appeal to nature lovers and tours of the historic winter homes of Edison and Ford. Cross-border shopping Canadians love the search for bargains when visiting the U.S. 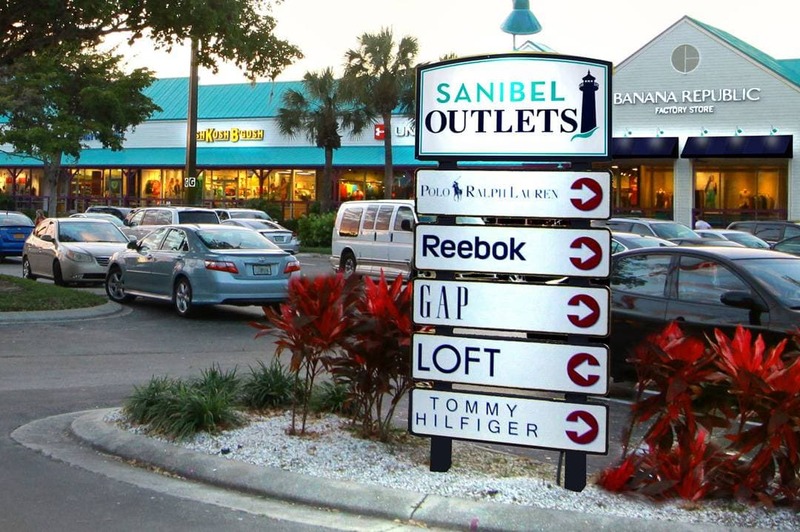 The Sanibel Outlets is a small outlet mall but features around 40 stores which include: Adidas, Banana Republic, Calvin Klein, Coach, Gap, Nike, and Samsonite. 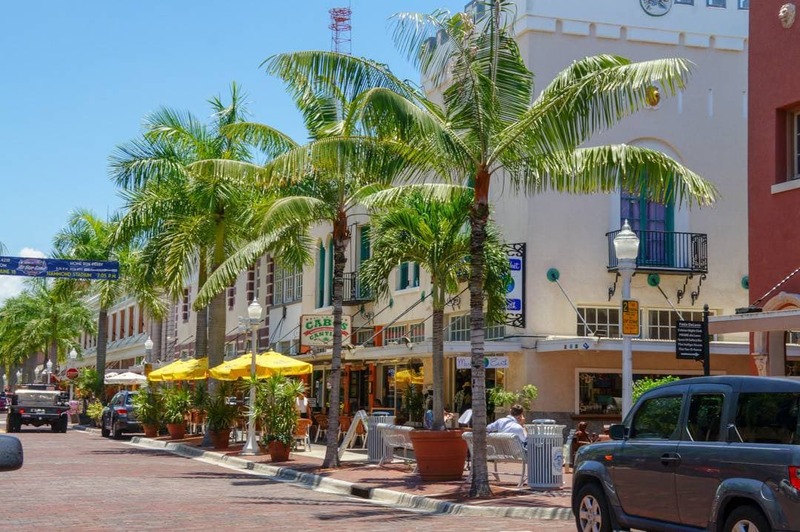 Fort Myers Beach Florida has its very own Times Square district. 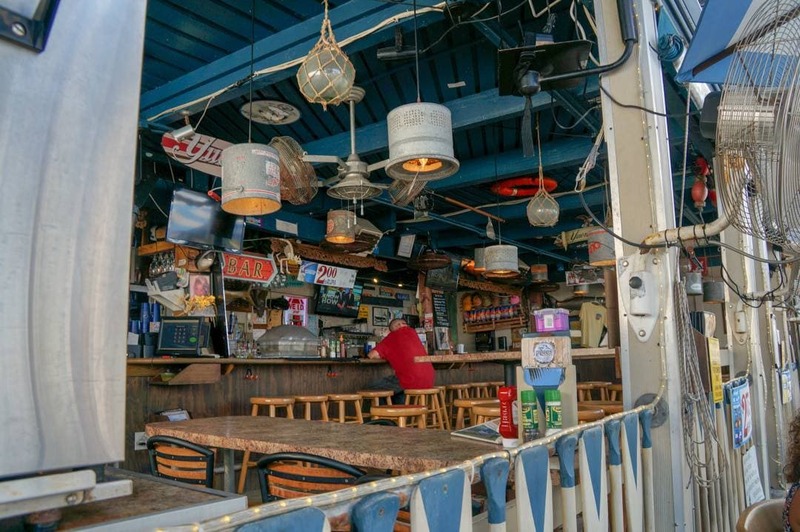 Located near the pier, the district features souvenir shops, cafés, and restaurants. 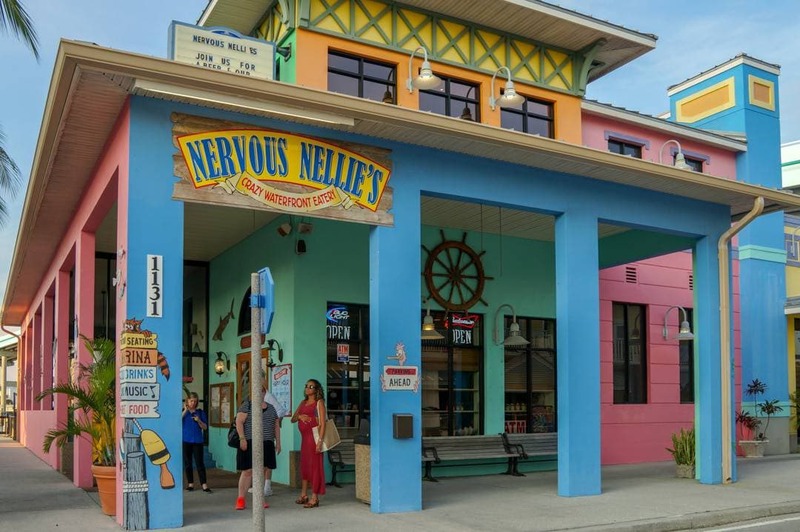 A beachy feel this boardwalk type neighbourhood is super casual and within walking distance of the northern part of Fort Myers Beach. 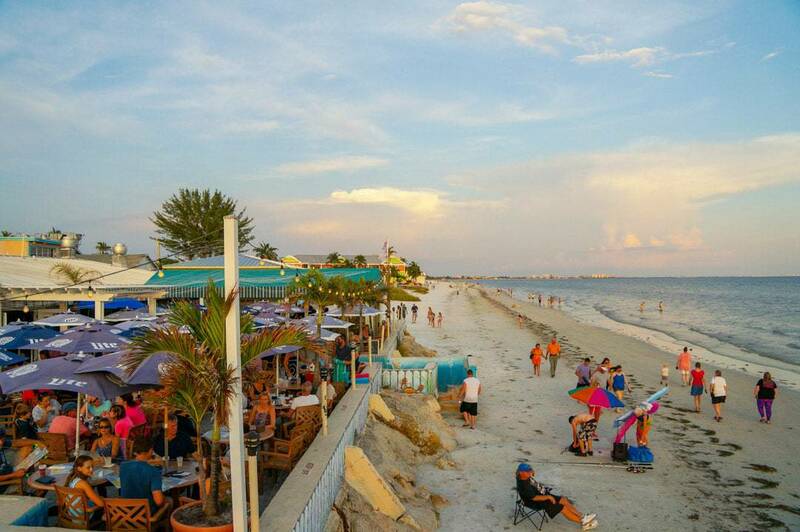 I have no shortage of recommendations of where to eat when visiting Fort Myers Beach Florida. 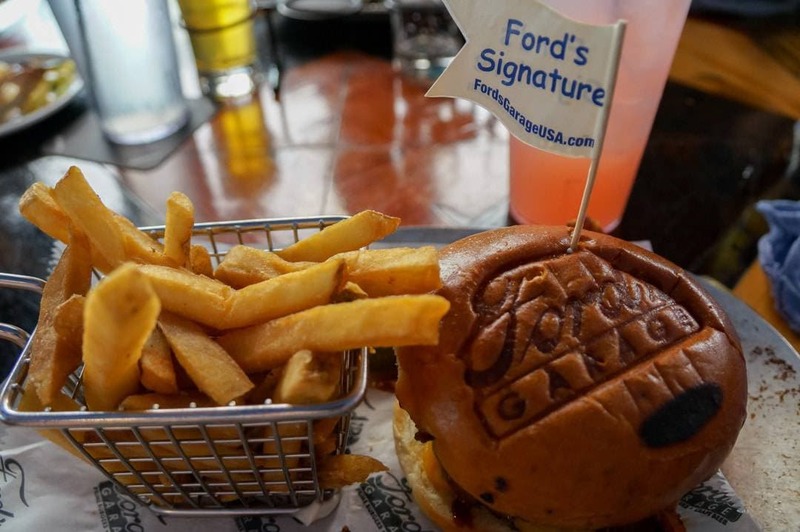 From family friendly, pub grub fair, cheap boardwalk eats to fine dining. 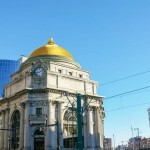 Here’s a list of some great places I visited during my stay. 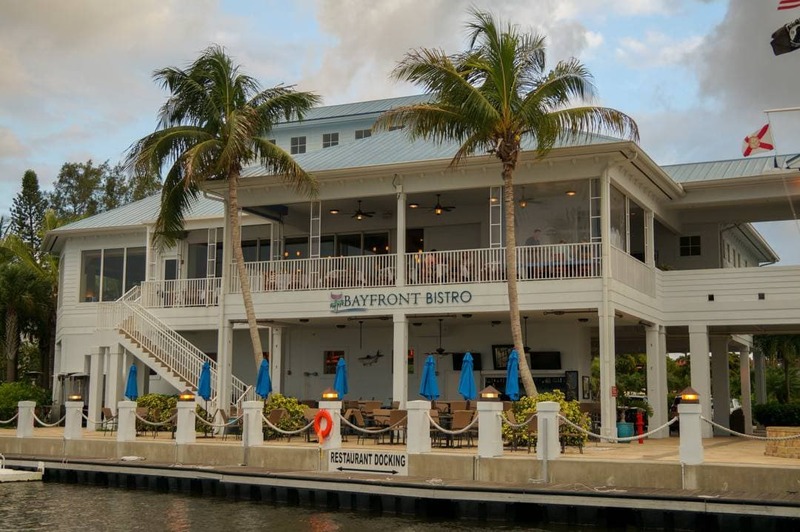 The Bayfront Bistro features a casual fine dining atmosphere located on the waterfront of the Snook Bight Yacht Club. We had a fabulous meal featuring fresh seafood while sitting on the patio and watching the beautiful boats in the marina. 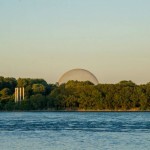 For a full review of the Bayfront Bistro visit our post here. 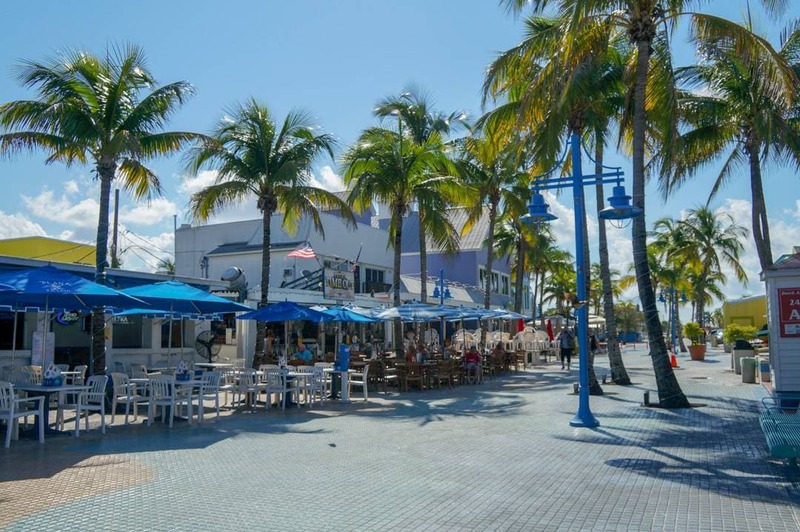 This casual restaurant was located in the Times Square district of Fort Myers Beach. It had a fun vibe both inside and on the waterfront facing patio. While they have a fascinating bar on the second floor and a delicious and crazy cocktail menu, the restaurant was a real hit with families too. There were lots of casual eats and seafood fair on the insanely huge menu. I had a quick and cheerful breakfast at this no fuss food counter located on the pedestrian walkway just off the pier in the Times Square district. There are many cheap eats and boardwalk fair in this area to choose from for a light meal or some fast food steps from the beach. 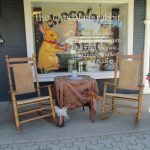 Located in downtown Fort Myers, this is a great stop on your way back from the Edison Estates. A great burger joint and bar decorated with a 1920s service station type decor. You’ll love the old model Ford above the bar which now and then during our lunch got a little feisty. On our last night, we had dinner at this super fun and quirky restaurant. 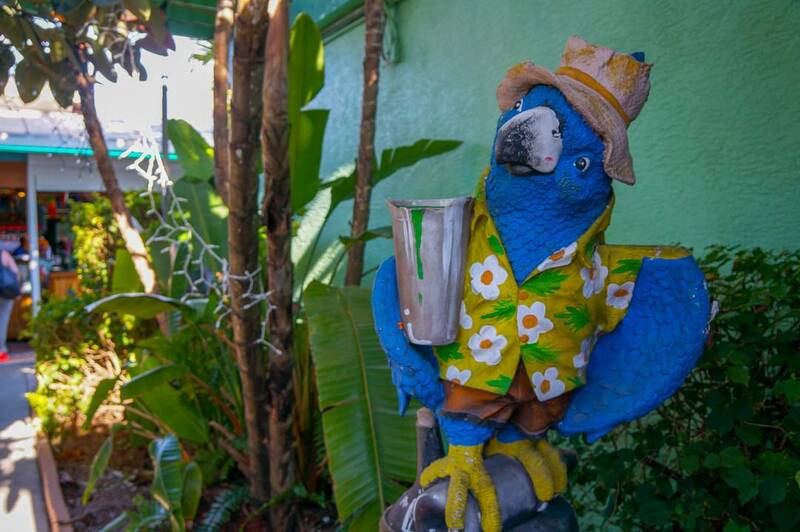 This Caribbean Grill will have you dining under hundreds of wooden parrots falling from the ceiling. 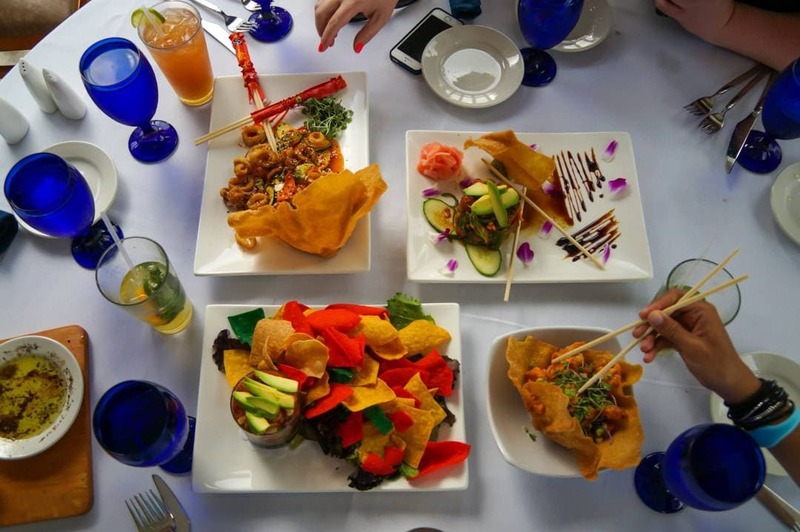 Located at Salty Sam’s Marina this casual restaurant is perfect for friends or families looking for some Caribbean inspired grub. I stayed in two hotels during my beach vacation in Fort Myers Beach. Each hotel had its vibe and set of pros and cons. 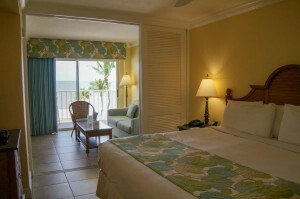 Located in the southern part of Fort Myers Beach this hotel was more low key and a smaller resort in general. The beach was magnificent, and all suites face the ocean. Each suite consists of a bedroom, bathroom, living room and kitchen. This is a full kitchen so you can prepare meals in the room during the day when hanging out at one of their two pools or the beach. 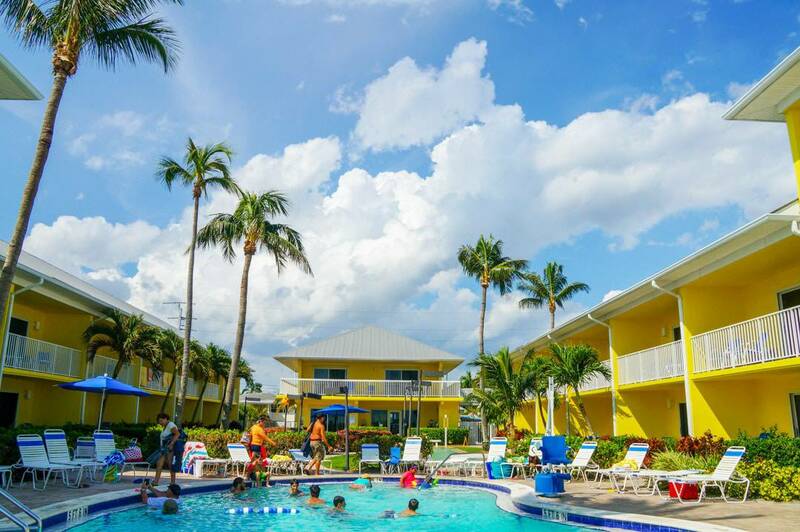 Located up in the north part of Fort Myers Beach the Pink Shell Beach Resort is located about a 15-minute walk from the pier and the Times Square District. Location wise this was a great hotel to stay at, but it was a much larger resort style hotel. There were activities for the kids at the main pool, a quieter pool and plenty of beach loungers on the huge beach. The size of this resort changes the vibe so if you like more quiet and intimate settings you will like the Sandpiper more, however, if you want lots of activities, restaurants, fitness facilities and more… well, this hotel will have more than enough for you to do. Plan your Fort Myers Beach vacation at www.FortMyersSanibel.com. 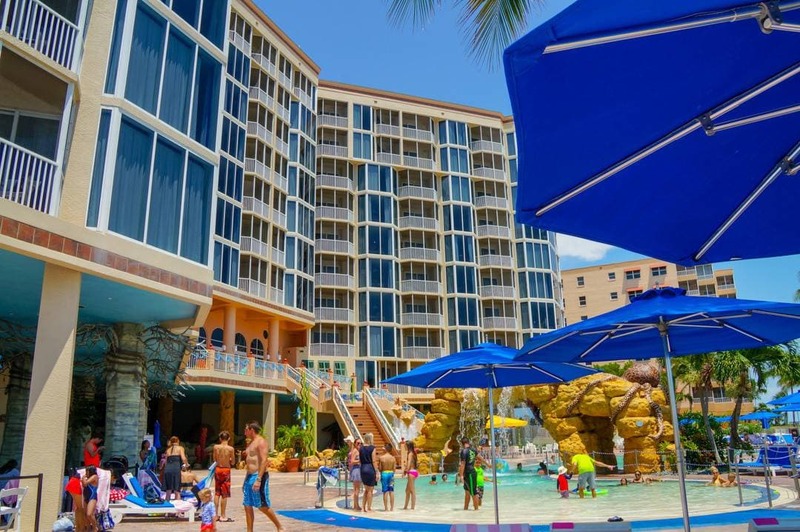 Do you have a favourite Fort Myers Beach hotel, restaurant or attraction tell me about it in the comments below! 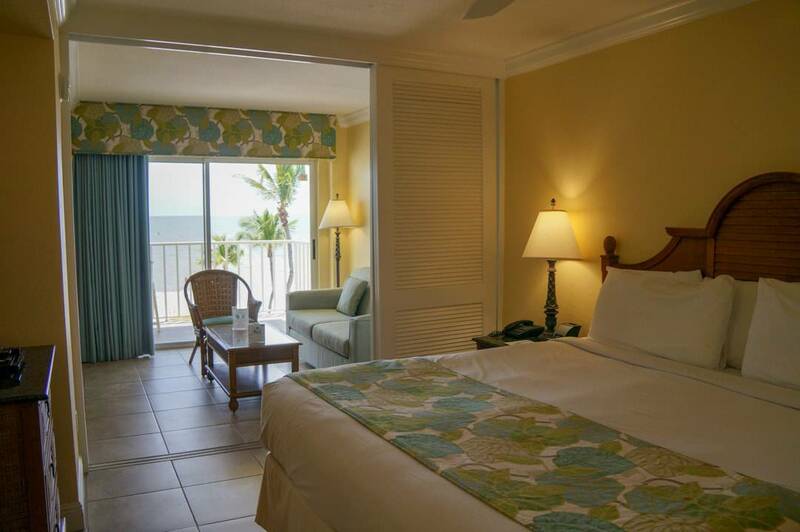 Silver Sands Villas, Fort Myers Beach!